← Looking for App Similar to Waitstrip App? Occupational Therapist Marnie Danielson co-authored the handwriting instruction The TV Teacher instruction using evidence based practice of video modeling¹ along with movement based understanding of letter formation (Chandler, C. 2014). The TV Teacher ™ DVD based program includes an introduction to upper, lower case letters, numbers, strokes, shapes and scenes, gross/fine motor skills, attention and additional handwriting neatness instruction. 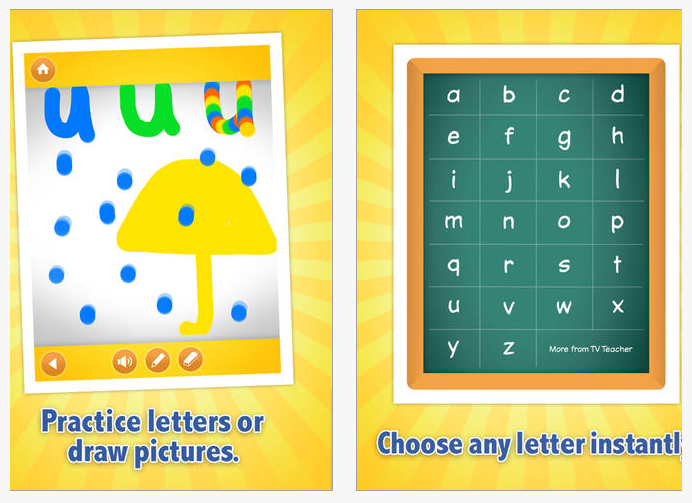 The TV Teacher app provides video modeling instruction, opportunity to practice letters out of order, practice to draw letters and also draw pictures along with phonic instruction. 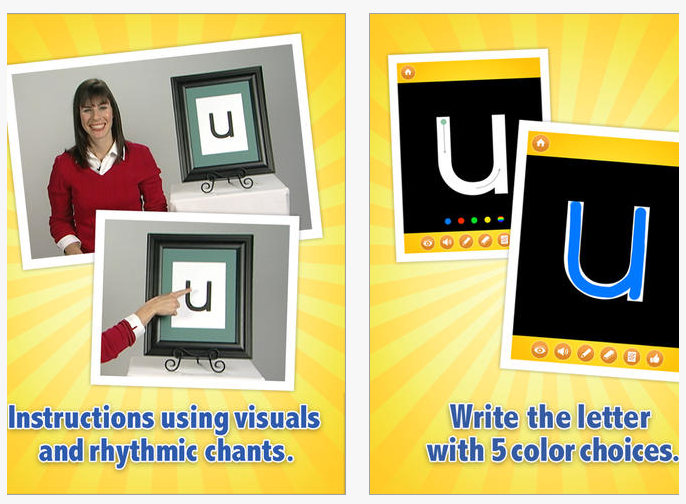 Rhythmic chant for each letter, two levels of practice- one with structured instruction with dots and arrows for letter formation and unstructured practice of writing letters and drawing. Colored lines options are available for drawing. The TV Teacher website provides an extensive listing of the video modeling studies supporting the visual method of instruction. In addition, research performed by Catherine Candler, Ph.D, OTR, BCP, “Embedding Video-Based Modeling Handwriting Instruction in a Montessori Preschool Phonics Program” ² found positive outcomes for preschool children who had access to the videos in a Montessori Classroom. Whereas studies show positive outcomes for skill development of students with disability, the study mentioned showed positive results for all children having access to programming with video modeling. This program is exciting as an integrated handwriting program for preschool to primary aged students using a variety of evidenced based practices. What is your experience with this program in inclusive or individual programming intervention? More to consider for your OT or teaching tool kit. This entry was posted in App Reviews, Apps for OT's, AT for Handwriting, Autism, Early Childhood, Elementary School, Handwriting, iPad, Primary Grades. Bookmark the permalink.